Epic sound for all your films, games and TV shows. And it streams music, too. For those times when all you need is a good tune. 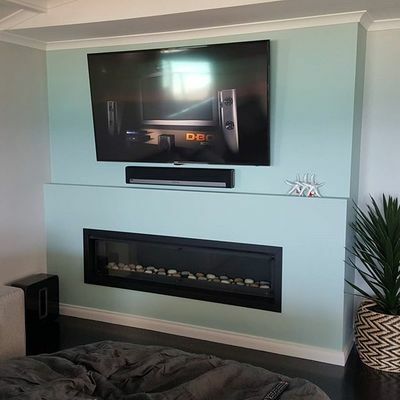 Deeper boom for your TV room. Nothing anchors home theatre audio like dynamic, highly detailed bass. Add a pair of Ones with Amazon Alexa for hands-free control of your music and more, or a pair of Play:1s, Play:3s or Play:5s to Playbase or Playbar and Sub. Suddenly you’re right in the centre of the action with vivid sonic details coming from every direction. With Trueplay you can set your home theatre speakers up however you want – and know they’re going to sound amazing. 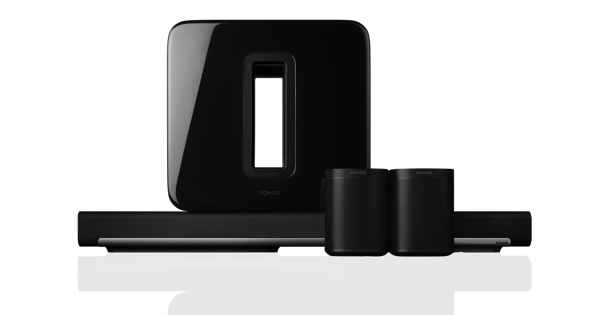 Why choose Sonos home theatre? 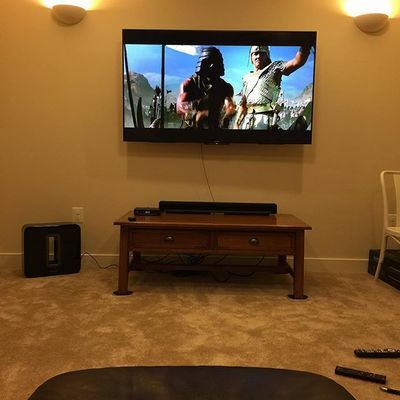 No need to run speaker wires around the room. 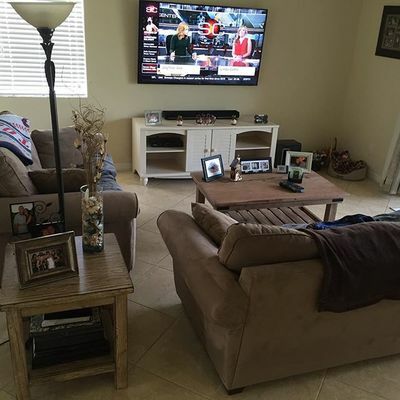 Just set it all up, connect to your TV with a single optical cable and relax. 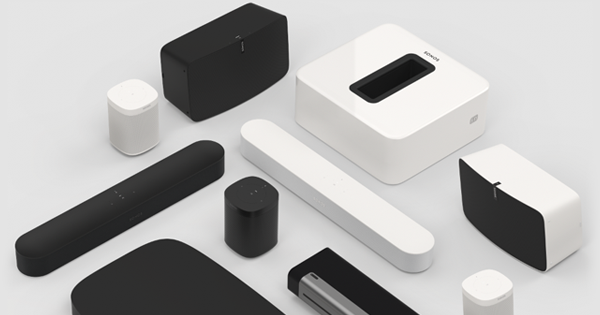 Your Sub subwoofer and rear speakers will sync up wirelessly. 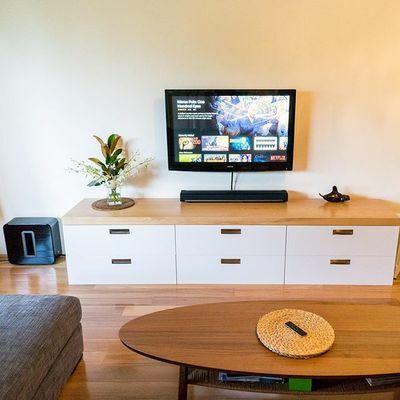 You can also get the ultimate setup of a Playbar + Apple TV combination to combine video streaming and audio excellence together. 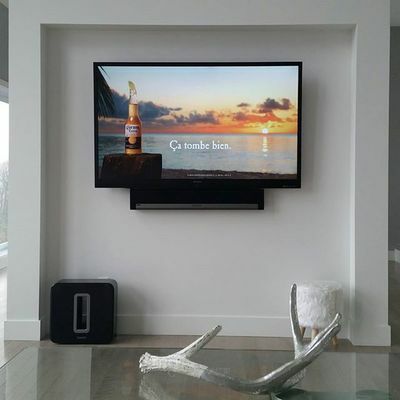 Start with Playbar, Playbase, or Beam and add Sub and a pair of surround speakers whenever you’re ready. 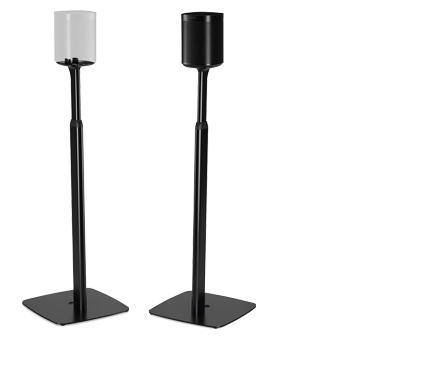 They’re all part of one surround sound system, so they work together seamlessly. 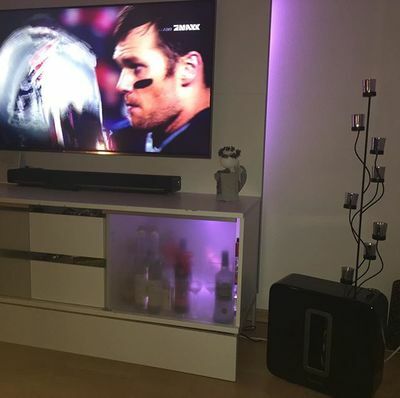 Can I use wired speakers as rear surrounds with a Playbar? 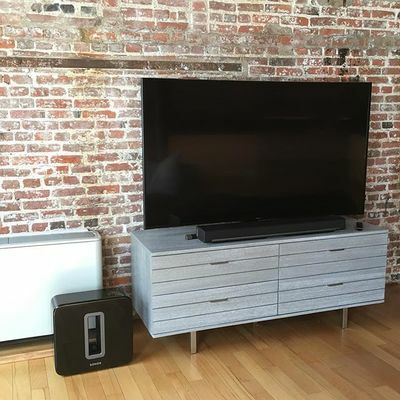 To use your wired speakers as rear surrounds, you will need a Connect:Amp. Just connect your router to both Playbar and Connect:Amp with Ethernet cables. How do I mount a Play:1 or Play:3? The Play:1 and Play:3 each have a 1/4", 20-thread mounting socket on the back. You can use any speaker mount with a 1/4", 20-thread insert. Just make sure the mount is designed to support the weight of your speaker.